The past year was filled with some noteworthy accomplishments for VCU Medical Center as a whole, as well as for deserving individuals within our organization. We also welcomed some exciting new faces and bid a fond farewell to a few stalwarts. VCU celebrated its biggest day in research history, receiving a $62 million federal grant — its largest federal award to date — to oversee a national research consortium of universities, hospitals and clinics that will study what happens to service members and veterans who suffer mild traumatic brain injuries or concussions. The White House announced the award in August 2013, describing it as a key feature of the Obama administration’s National Research Action Plan to help military personnel and their families. Led by David X. Cifu, M.D., the Herman Jacob Flax, M.D. 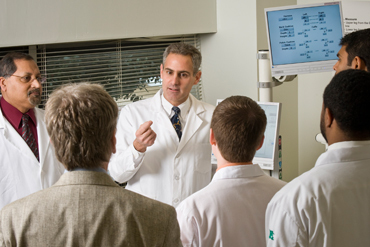 Professor and chair of the Department of Physical Medicine and Rehabilitation and executive director of the Center for Rehabilitation Science and Engineering, researchers will study concussions caused by combat injuries, such as those from blasts and bullets, and civilian injuries, such as those from car accidents, sports injuries and falls. The research will try to determine who is more likely to have problems after these injuries, how the injured can be better treated, and what the injured and their families can expect over a lifetime. The study is expected to continue for five years, with information available as early as the six-month mark. This is the second significant grant that VCU has received in recent years. In 2010, VCU received a $20 million CTSA grant from the NIH, becoming the only academic medical center in Virginia to join a nationwide consortium of research institutions working to turn laboratory discoveries into treatments for patients. 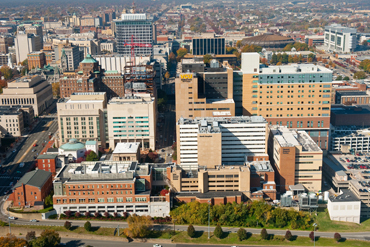 VCU Medical Center was ranked a Best Hospital in Virginia for the second consecutive year by U.S.News & World Report. The medical center also saw two specialty areas rank in the top 50, nephrology at 41 and orthopaedics in the No. 39 spot. In addition, the magazine recognized eight specialty areas as high performing: cancer; cardiology and heart surgery; diabetes and endocrinology; gastroenterology and GI surgery; geriatrics; neurology and neurosurgery; pulmonology; and urology. The magazine also ranked the Children’s Hospital of Richmond at VCU among the best children’s hospitals for 2013-14 and 50th in nephrology. 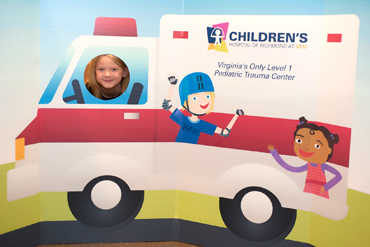 Children’s Hospital of Richmond at VCU earned a designation as Virginia’s first Level 1 pediatric trauma center from the American College of Surgeons in July 2013. The hospital joins 39 other such centers across the country that demonstrate the highest level of patient care, education and research. 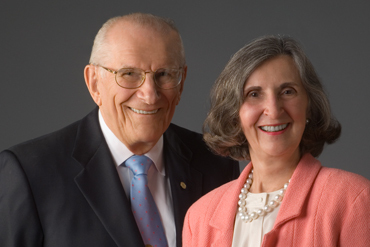 The Pauley Family Foundation gave $5 million in February 2013 to VCU Pauley Heart Center that will be matched by the VCU Glasgow Endowment, creating a $10 million total gift to expand and enhance recruitment and research at the world-class cardiology program. “This is a project that is near and dear to my heart,” Stanley F. Pauley said. The philanthropic connection between Pauley and the heart center began in 2006, when the former heart center patient, impressed by the staff and treatment he received, directed his family foundation to make a $5 million gift to VCU for its heart center, which was later renamed VCU Pauley Heart Center. In addition to the Pauley gift, VCU announced a fundraising campaign to raise $5 million for the heart center that also will be matched by an additional $5 million from the Glasgow Endowment. “The Pauley’s generosity through the years will have a lasting impact on the region and nation for the remarkable breakthroughs made possible by their support,” Sheldon M. Retchin, M.D., M.S.P.H., said. 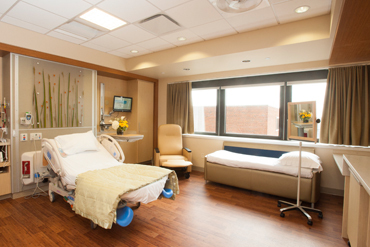 In August 2013, VCU Medical Center opened its renovated Labor and Delivery Unit, which offers unique accommodations and childbirth options to expectant mothers. The new unit features spacious rooms with private labor tubs and showers, a 24-hour visitation policy for family and friends, á la carte room service, and wireless fetal monitoring, allowing women to move freely during labor. The unit will support VCU Medical Center’s comprehensive labor and delivery team, including obstetricians, maternal-fetal medicine specialists, certified nurse-midwives and nurses. VCU Massey Cancer Center expanded its reach to South Hill, Va., and Spotsylvania, Va., with the opening of two new radiation therapy centers. 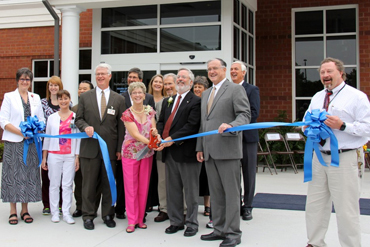 On Aug. 14, community citizens, health care leaders, local politicians and officials gathered at Community Memorial Healthcenter (CMH) for the grand opening of the Solari Radiation Therapy Center, the first and only radiation therapy center in the Southern Virginia area. The center is a joint venture between CMH and Massey, who together provide CMH’s cancer and specialty care. A week later, HCA Spotsylvania Regional Medical Center opened a state-of-the-art radiation oncology unit, offering services jointly delivered by VCU Medical Center and Massey. The center encompasses 7,000 square feet and features a Varian TrueBeam high-energy linear accelerator and 4-D General Electric Optima Simulator that offer innovative radiation treatments. 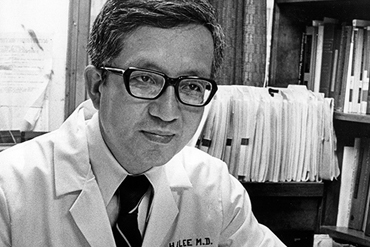 H.M. Lee, M.D., internationally renowned pioneer in organ transplantation and former professor and chairman in the Division of Vascular and Transplant Surgery at the Medical College of Virginia, which became VCU School of Medicine, died March 24, 2013, at the age of 87. In the 1950s at MCV, Lee was an integral member of one of only four transplant programs in the world. He was a charter member and the 11th president of the American Society of Transplant Surgeons, where he pushed for the passing of the National Organ Transplant Act, and he helped found, along with his mentor, David Hume, M.D., the organization that gave rise to the United Network for Organ Sharing. In 1973, Lee became director of the Clinical Transplant Program, professor and chairman of the Division of Vascular and Transplant Surgery and director of the Clinical Transplant Fellowship Program at VCU. Under his 20-year leadership, VCU Medical Center added liver, pancreas and liver cell transplantation to its capabilities, sustaining its reputation as an internationally renowned center for transplantation. The transplant center Lee directed for two decades, which opened in 1964 and is now the oldest transplant unit in the U.S., was re-designated and officially named VCU Hume-Lee Transplant Center in 2002. 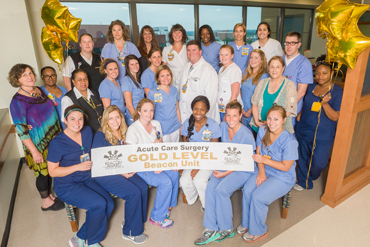 VCU Medical Center’s Hume-Lee Transplant Center, Medical Psychiatry Unit and Acute Care Surgery unit and VCU Massey Cancer Center’s Bone Marrow Transplant (BMT) Unit each received in 2013 a Beacon Award for Excellence from the American Association of Critical-Care Nurses. The award recognizes those units that demonstrate strong patient outcomes and exemplify outstanding service and innovation. The Medical Psychiatry and BMT units are the first of their kind in the nation to earn the honor. Tod Brindle, certified wound ostomy continence nurse at VCU Medical Center, was one of five nurses nationwide to be named the American Nurses Credentialing Center’s 2013 National Magnet Nurse of the Year. The award recognizes outstanding contributions of clinical nurses for innovation, consultation, leadership and professional risk-taking. Brindle, whose research has changed clinical practices both at VCU and at more than 1,100 hospitals in the U.S. and 10 other countries, was honored for his contributions of transformative ways to improve patient care quality. “This award was such an honor to receive, particularly as I think of the thousands of nurses across this country who provide such excellent care daily,” Brindle said. Brindle’s research led to a hospitalwide practice change to prevent pressure ulcers, or bed sores, in the intensive care unit, resulting in a reduction of health care-acquired pressure ulcer rates from 8 percent to 2.4 percent; an evidence-based intervention for patients with hemodynamic instability, the body’s inability to maintain blood pressure or adequate heart function; and groundbreaking techniques to enhance care of patients with fistula, an abnormal connection between two organs or an open abdominal wound. Candace Burton, Ph.D., assistant professor in the VCU School of Nursing, was one of 12 nursing educators from across the U.S. to win a highly competitive three-year, $350,000 grant from the Robert Wood Johnson Foundation Nurse Faculty Scholars program. Burton plans use the grant to support her research that combines epigenetic science with her passion for reducing the effects of intimate partner violence. Her study will be the first of its kind to examine how acute stress from teen dating violence can alter an individual’s genome leading to chronic illnesses later in life. Patrick Coyne, R.N., M.S.N., clinical director at VCU Massey Cancer Center’s Thomas Palliative Care Unit, was voted one of the top 30 visionaries in hospice and palliative medicine in a poll conducted by the American Academy of Hospice and Palliative Medicine. Coyne was instrumental in the 1994 initiation of VCU’s palliative care service unit, which was one of the first of its kind in the nation. The center has subsequently become a leadership center in palliative care nationally, recognized internationally by the International Association for Hospice and Palliative Care and was the first certified in Virginia for palliative care. John F. Duval, CEO of MCV Hospitals, was elected in September 2013 as chair-elect of the Accreditation Council for Graduate Medical Education’s (ACGME) board of directors. He will hold this position until September 2014, when he will then serve as chair for two years. ACGME is a private, nonprofit council that evaluates and accredits residency programs in the U.S. Its mission is to improve health care by assessing and advancing the quality of resident physicians’ education through exemplary accreditation. Jean Giddens, Ph.D., R.N., FAAN, a nationally recognized expert in nursing education, curricula and evaluation, joined the School of Nursing as its new dean in June 2013. Giddens previously served as professor and executive dean of the College of Nursing at the University of New Mexico. The author of numerous journal articles, nursing textbooks and electronic media in nursing education, she is widely recognized for creating innovative teaching and learning models in nursing sciences. Sheldon M. Retchin, M.D., M.S.P.H., CEO of VCU Health System and senior vice president of VCU Health Sciences, received the 2013 Distinguished Service Award from the Virginia Hospital and Healthcare Association. The award honors his exceptional leadership and significant contributions to hospitals, health systems and health care. In addition to overseeing five health sciences schools and the clinical enterprise of VCU Health System, Retchin is a national expert in health policy and health care delivery, with special expertise on the Medicare program. He also is a national expert on the role of the safety net in health services delivery and has testified before Congress. Of his many public service appointments, he currently serves as chairman of the Advisory Panel on Health Care of the Association of American Medical Colleges. Deborah T. Zimmermann, D.N.P., chief nursing officer and vice president of patient care services at VCU Medical Center, was elected chair of the American Nurses Credentialing Center’s Commission on Magnet Recognition program. ANCC’s Commission on Magnet Recognition is the highest honor and level of recognition awarded for nursing excellence in national and international health care. In 2006, VCU Medical Center was the first in Central Virginia to achieve Magnet designation. Zimmermann and Leigh Small, Ph.D., R.N., CPNP-PC, FNAP, FAANP, FAAN, associate professor and chair of the School of Nursing’s Department of Family and Community Health Nursing, were also named fellows of the American Academy of Nursing.